Webdesign for intranet applications and web services contains many different features in order to cover the wide variety of web systems. 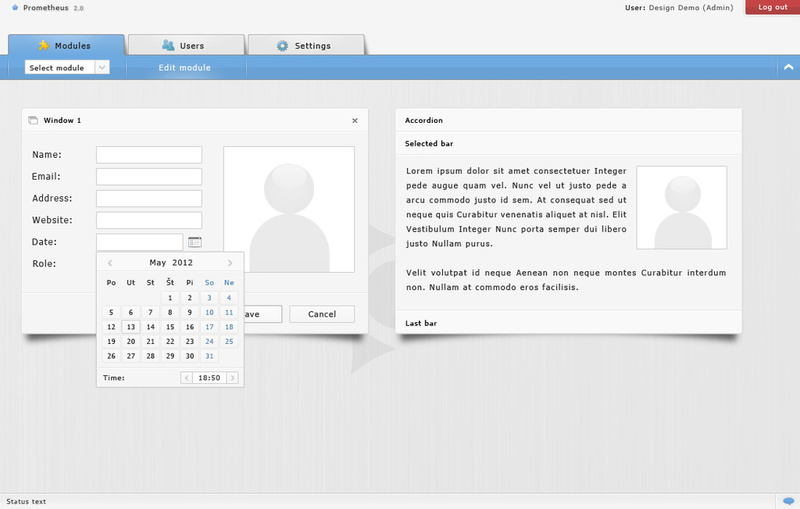 The concept contains a main navigation in top horizontal panel, where different subparts and modules can be selected. Big area of workspace is used to make work with data comfortable and to place any kind of windowed form, table, images or different features. 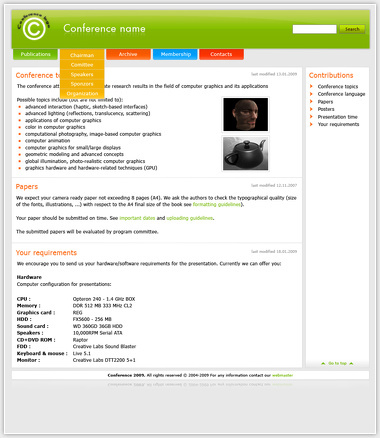 Design concept was created with accent to usability, accessibility and practical implementation. 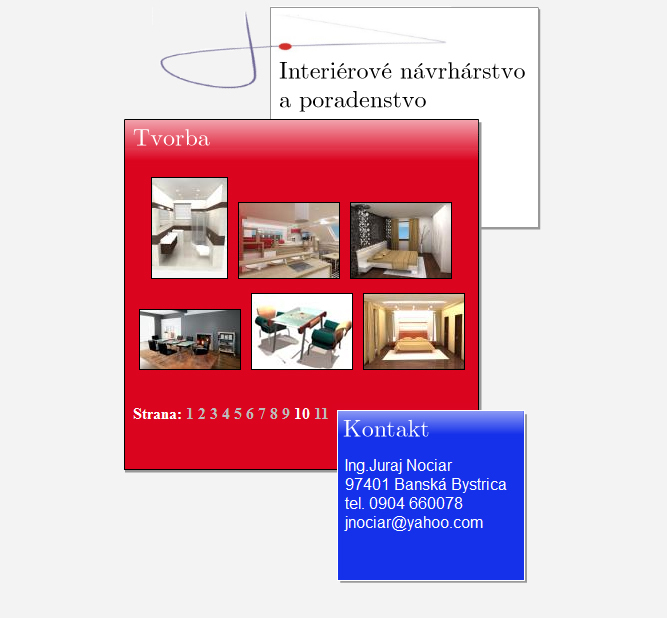 Colours, fonts, and layout of design were selected with emphasis on comfortable using. 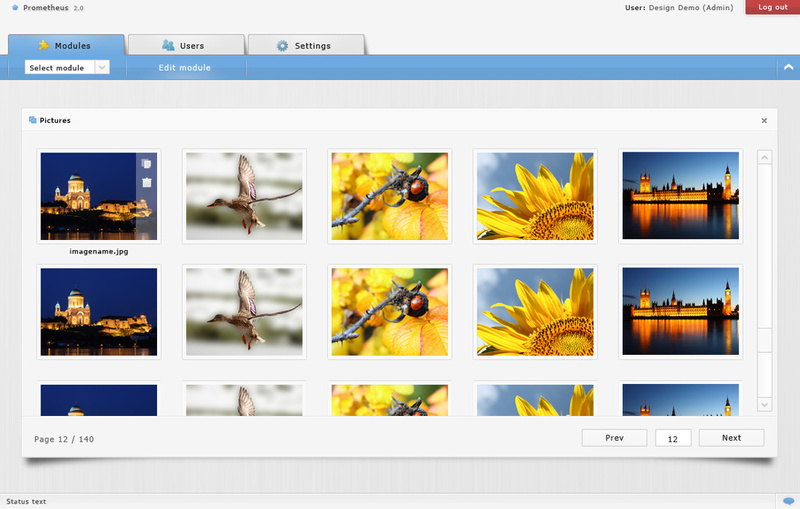 Many system parts were designed including windows, tables, file manager, image viewer. 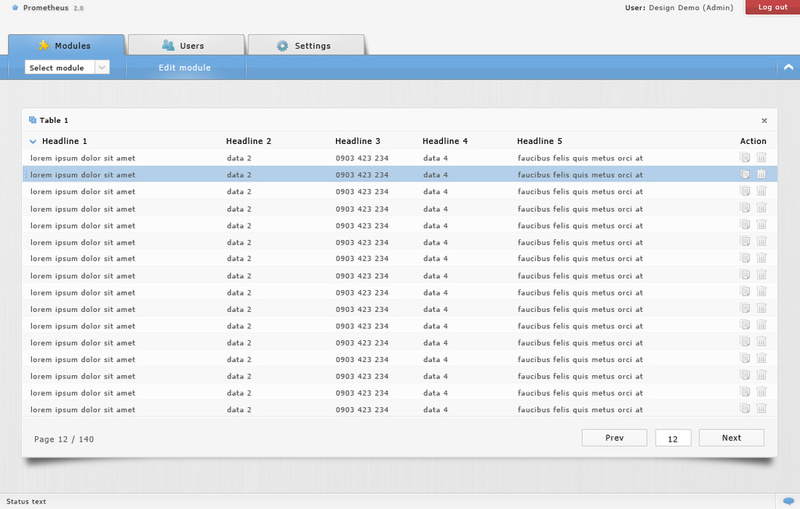 Standard form parts as buttons, tabs, text fields, selections, checkboxes, accordion, autocomplete, calendar, or others were designed here too. 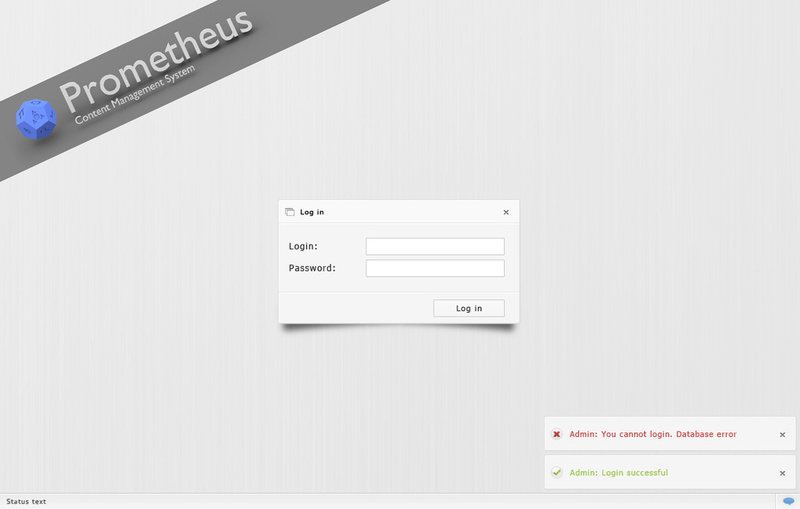 The design also contains a login screen and an animated loading sequence. 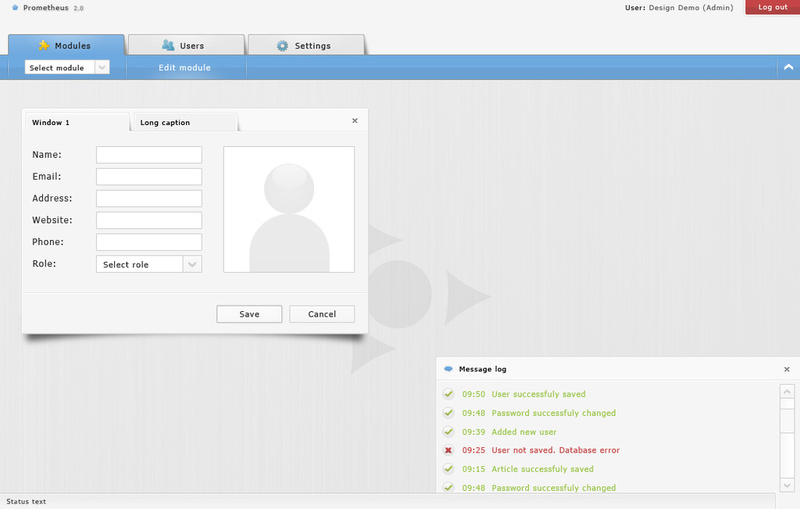 It serves as a visual basis for any possible intranet application. Conference presentation webdesign concept. Webdesign contains the well-arranged and user friendly menu and navigation. 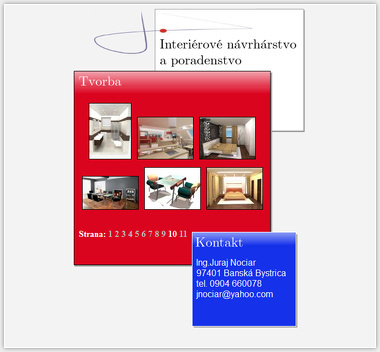 It has a big main presentation area and one topmenu and one rightmenu. To make the navigation in the complex conference website easier, the different parts of website are grouped and specified color indicates in which category the user is browsing. 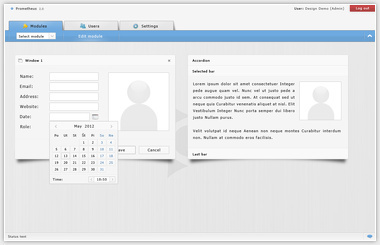 Top menu is dropdown menu which allows to encapsulate the important subcategories under the main categories. 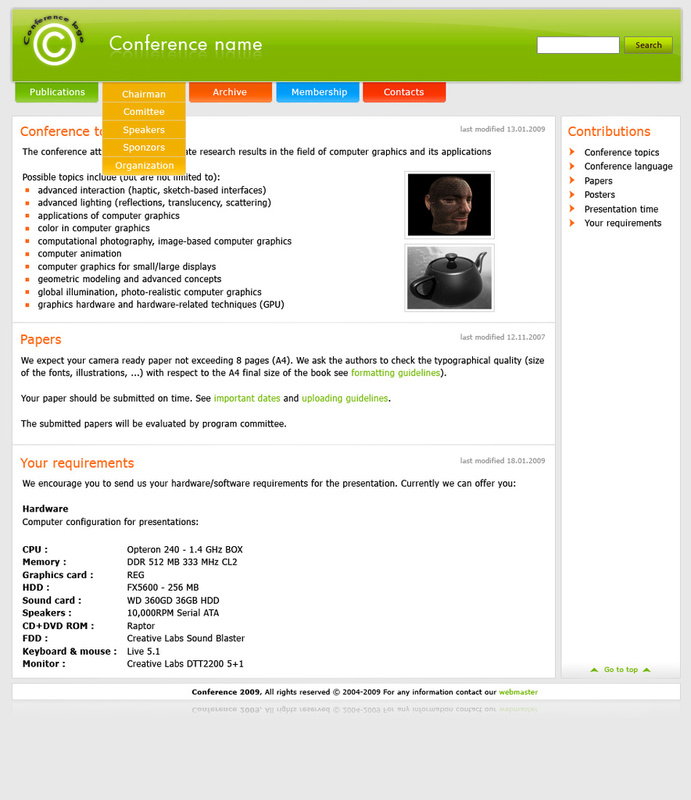 Conference webdesign should contain also the powerful search and important parts like the publication digital library, the registration and paper submition system. 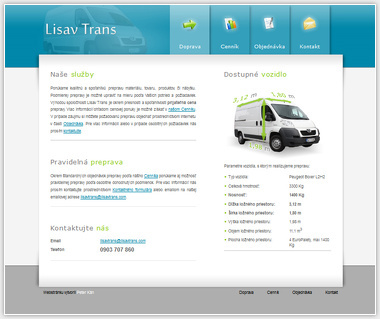 The webdesign allows to show all relevant information about the organization in the clean layout.